iCloud is a great service provided by Apple. However, we have limited access to iCloud backup. Do you know that actually, it is possible to access and view the data in iCloud on your PC or Mac? As a matter of fact, there are several ways to access and view iCloud data. In this guide, we will explain two ways to help you access and view data in your iCloud Backup, even when the iCloud backup is for iOS 12. Go to Settings > General > Reset on your iPhone, then choose the 'Erase All Content And Settings' option. You will be on the Apps & Data screen. 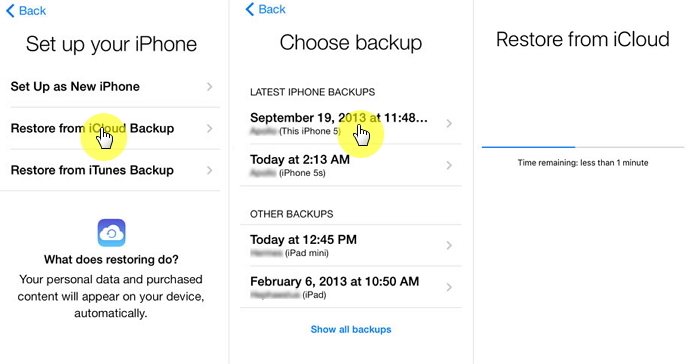 Tap 'Restore from iCloud Backup', then log you're your iCloud account. Continue to 'Choose backup,' then choose the iCloud backup you need to view. Wait for the device to finish download the iCloud backup. Once it is complete, you can access and view iCloud backup files. Is there a way on how to view iCloud backups without restoring it? How to see iCloud backup without any data loss? A 3rd-party iCloud backup viewer will help a lot and if you're interested in, just read on. Extract messages, WhatsApp data, call history, voice memos, Kik, Viber data and more from iCloud backup. Extract the data you need from backups to a computer without restoring the backup to an iOS device. No risk of data loss. 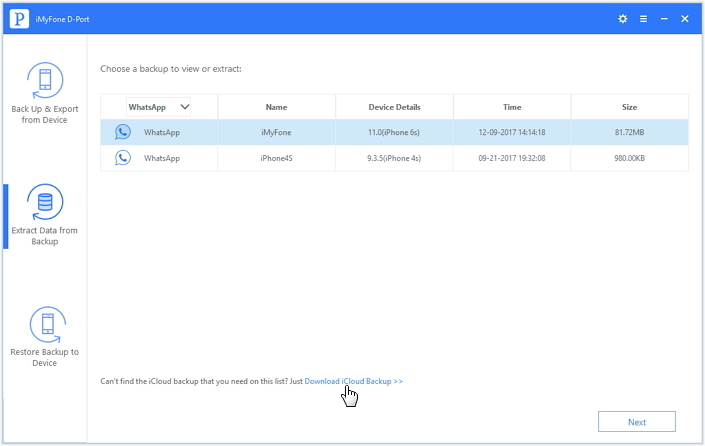 Its trial version allows you to view the data in iCloud backup free of charge. You can use the pro version of iMyFone D-Port to selectively backup and restore your iOS data. iMyFone D-Port is a special program that helps to easily access iCloud backup files without having your device at hand. You can access an iCloud backup file in the following guide. Run iMyFone D-Port on your computer and then choose "Extract Data from Backup". Click "Download iCloud Backup". Sign in to your iCloud account with your username and password. No need to worry about your personal account information since iMyFone will not record the details. From the backup files presented, choose the one you want to view and then click "Next" to select the types of files you want to access. 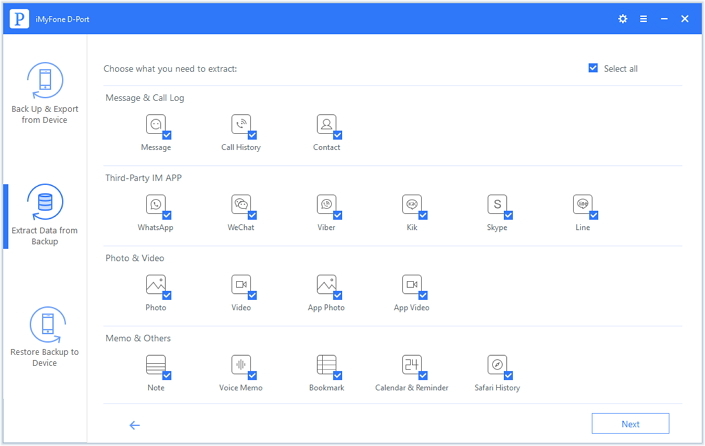 You can see that the most important files for users are supported and iMyFone D-Port will support more in future updates. Once the download is completed, the results will be displayed in the next window. You can view them for free. If you need to extract data for more use, just check them and then click "Extract" to save them to your computer. iMyFone D-Port enables you to access and view icloud backup files. 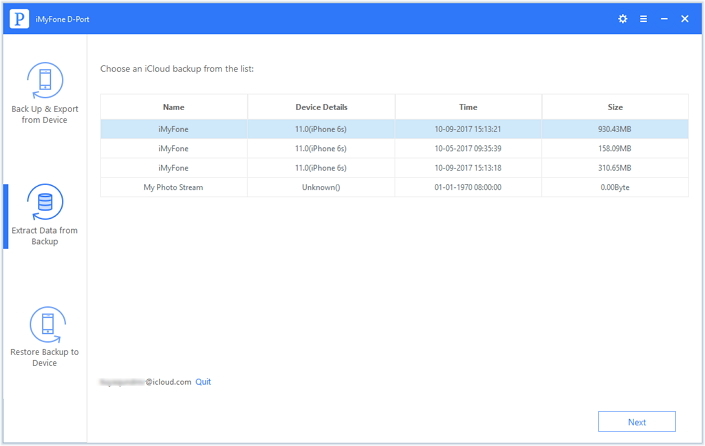 Download the free trial version of iMyFone D-Port iCloud Data Extractor software to selectively view and extract data from iCloud backup. Don't worry if you use the latest iOS 12, iMyFone D-Port supports it, also. 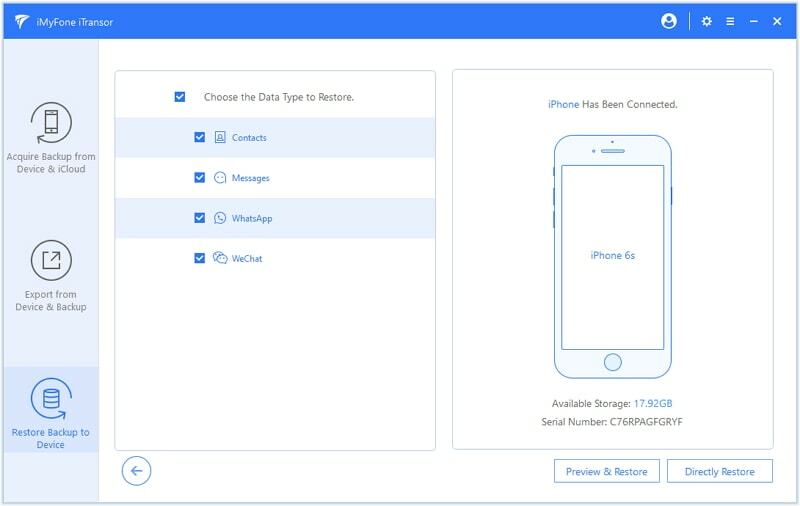 If you have no iCloud backup but you store data in iCloud from Settings > [Your Name] > iCloud > APPS USING ICLOUD, then you can follow these very simple steps to access icloud backup online via iCloud.com. 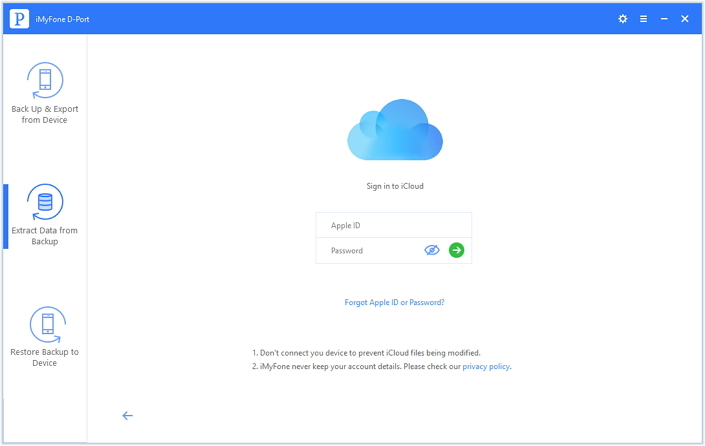 On any browser, go to https://www.icloud.com/ and sign in to your iCloud account using your Apple ID and password. You should see a list of available data types. Click on the data type to view its contents. This method is effective in helping you view and access data in iCloud but it does have its drawbacks. You are only able to see limited content. 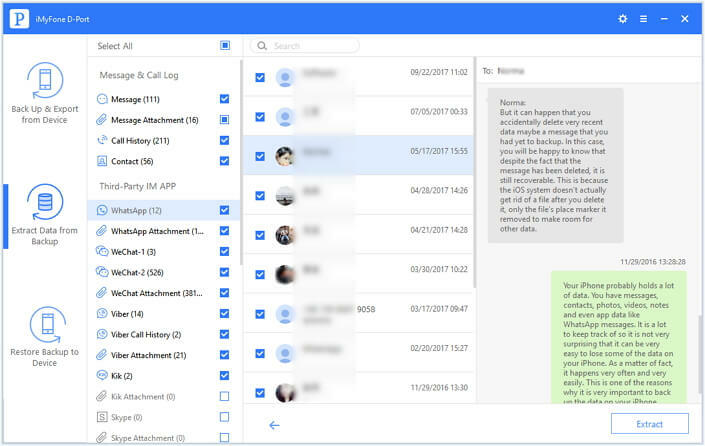 It cannot access data such as MMS messages, text messages, iMessages, third-party apps, voice memos and more. Know more about how to restore Messages to iPhone, please click here.